Clean, safe drinking water is a critically important quality of life issue for our community. We take extra steps to not only meet, but exceed Indiana Department of Environmental Management testing requirements. We go the extra mile because we care deeply about the safety and well-being of those we serve. I am pleased to share the following accomplishments of our team in 2017. Inadequate, wrong meter applications are continuing to be replaced with correct meters, thereby providing appropriate funds for the Water Utility through accurate metering of the usage. Ten two-inch meters have been replaced with two-inch compound meters in applications the Utility has lost money in for the past several years. Many leaking water meter settings were repaired with new front side valves and back side check valves, replacing old and outdated pieces. Numerous improvements were made to our building at 390 South Mulberry, including brick and stucco repair, replacement of original windows and fresh brown paint to cover up the old blue paint on our structure. Our stock yard was cleaned and concrete pads were poured where parts, hydrants and supplies now are stored to eliminate weed growth and more easily maintain the area. Our backhoe’s leaking fuel tank was replaced with a ground level tank which is stored behind slats installed in the fence surrounding the stock yard, thereby enhancing the safety and appearance of our facility. Long overdue, new replacement fencing was placed around wells #4 and #5 to enhance the safety and security of Martinsville’s drinking water. Thanks to funding from the Redevelopment Commission, five areas of constant water leaks on zipper streets with deteriorating water lines were upgraded with new infrastructure and new water settings with back side check valves and radio read meters. This work is saving the Utility thousands of dollars and allowing staff to concentrate on other priorities. Work on the I-69 water project is nearly complete, with a new upsized water main supplying Legendary Hills which also has a full-body fire hydrant at its entrance providing fire departments with adequate water supply to fight fires. All interior and exterior lighting at the Water Treatment Plant was replaced with LED lighting to brighten the 12-year-old plant and the outside area. 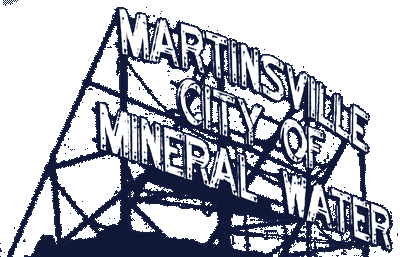 Work continues with Artesian Group LLC and Flaherty & Collins Properties on the revitalization projects in Martinsville’s downtown.